Lebron is already one of the top 10 NBA players of all time. Maybe top 5 all time. Is there a better Small Forward in the history of the league? Nope, Lebron is the best SF of all time. I will get to that in a second. The problem is despite Lebron’s greatness, and the emergence of exciting young players like Steph Curry, Kyrie Irving, Durant, and Westbrook, people just don’t love the league like they did in MJ’s day. But first thing’s first. I’m not a huge stats guy for basketball. They can be misleading because there are way too many factors like being on bad teams and getting more shots. Or if your team is constantly dominating, you get less touches, so a better player who wins might have lower stats than one on a losing team (see Carmelo Anthony). I feel the same with titles, they can be overrated. Is Robert Horry a better forward than Charles Barkley because of his rings? No. If you know basketball, and the era which players played, you can understand the skills of players relative to the skill of their competition. Thus, I will always give the edge to players of the late 80’s and the 90’s. The athletic edge goes to modern players, there have never been NBA players as fast and skilled as today. I look at the players as players. I don’t take into account how everyone was hurt by “The Decision”. Yes, that was handled awkwardly, but people who don’t think that free agency and college recruiting is not basically done the exact same way, only behind closed doors, is just naive. Eli Manning refused to play for the Chargers when drafted, I don’t hear much about that. John Elway threatened to play baseball until he landed on the team he wanted in the draft. Kareem left Milwaukee for LA, as most athletes do. They go for a bigger market and/or more money. In any career, would one turn down more money or to live in a better city? People also forget, Lebron took less money to go to Miami. Post comments that think comparing to Lebron to the greats of the NBA is not even a conversation are just not thinking straight. Lebron is definitely an awkward guy, and probably is in the media too much for his own good, but he is an athletic freak. For any sport. Larry Bird. On first mention this sounds crazy. Larry Legend is one of the most skilled ballers ever. Given his size, he was a ridiculous shooter. Great decision maker. Plain tough. However, this is pretty easily in favor of Lebron purely due to longevity. Larry’s career was unfortunately cut short due to injuries. Even in his last few years, he was just way too slow to guard a guy like Lebron. It is a testament to Bird’s amazing abilities that he was still a top player with his poor athleticism. Skill-wise, Bird was a way better shooter than Lebron, but Lebron was just as good a passer. A better finisher at the rim. More athletic. Plus, people forget that basketball is a 2-way sport, and Lebron’s defensive dominance and versatility is criminally overlooked. Larry could not guard 5 positions with the speed and quickness of Lebron. I don’t remember Larry flying in out of nowhere to block a fast break dunk. Julius Erving. Dr. J is famous for his high flying dunks, and awesome style. Probably the best NBA afro of all time! But Lebron is an amazing dunker in his own right. I’d give the edge to Dr. J because he was more original and was definitely smoother about his business, but it’s a close one. 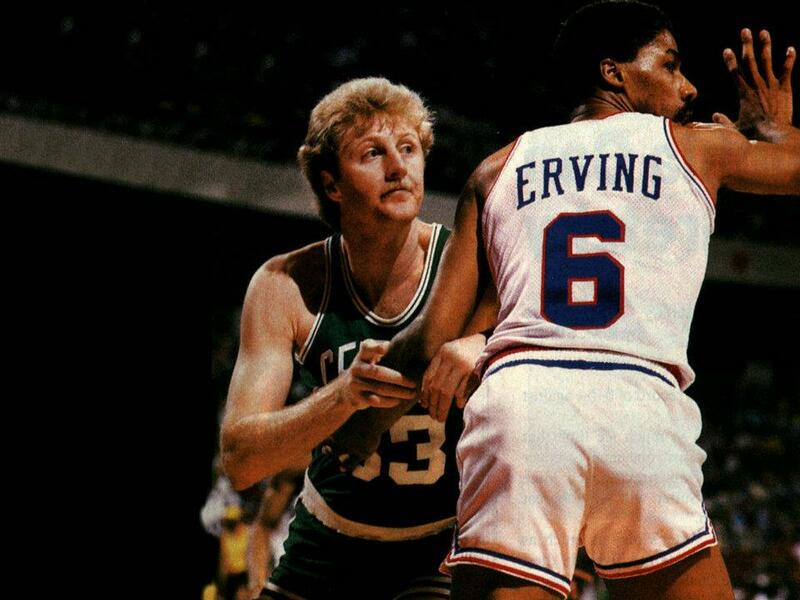 Erving was more of a post player, and Lebron is a better overall shooter. Also a better passer. Dr. J did play much of his prime in the ABA, so we may have missed out on even more greatness. However, Lebron’s overall ability to cover multiple positions (his speed) gives him the edge over Dr. J.
Scottie Pippen. This one is pretty close. Skip Bayless is one who attributes Scottie’s greatness to merely riding the coattails of Jordan, and that is a common view of Scottie. But that is crazy. The two seasons when MJ decided to be mediocre at baseball, the Bulls still made the playoffs in a loaded Eastern Conference, and they were still a contender. Scottie was their best player. He had about as much defensive versatility as Lebron. He was also a great dunker with speed and leaping ability. He was not a great shooter, and Lebron is certainly not great, but I would say he was a better long range shooter that Scottie. Scottie was a good passer, a smart player, but not on the level of Lebron. 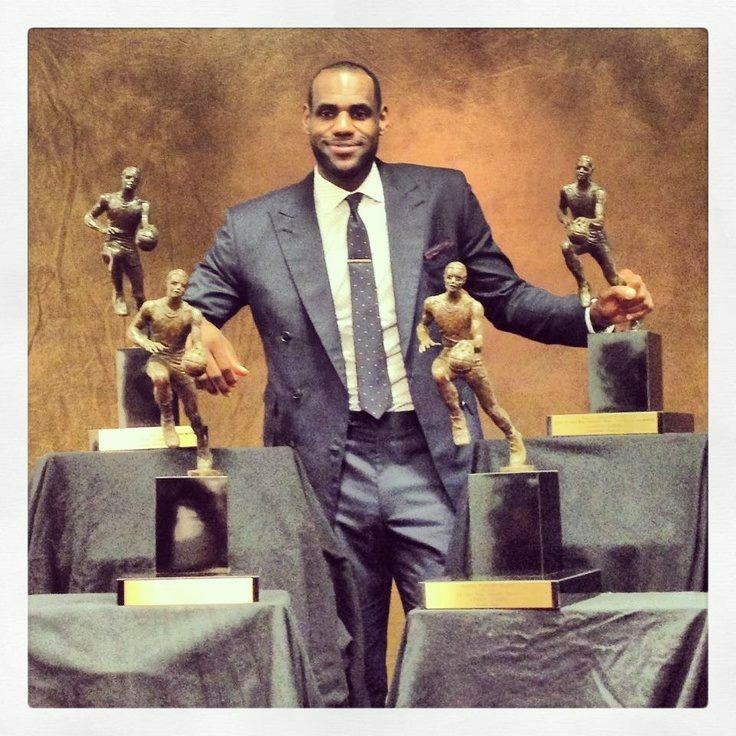 Lebron is a top 5 point guard in today’s NBA, and he’s 6′ 9″, and 250 lbs. Throws dimes. Chris Paul is probably the only player in the league who is a better passer than Lebron. Scottie’s Bulls teams without MJ were still pretty good, not great, but good. Lebron carried a pretty bad Cleveland team all the way to the Finals. His title-winning Miami teams have basically been Lebron, Wade, and 10 3-point shooting guards. Bosh is technically an all-star, but he doesn’t play like one. I will concede that Lebron did not have to go through Ewing’s Knicks or Reggie’s Pacers, but you can’t fault the competition. A championship is a championship. Lebron takes this one. There are a few other Small Forwards that might qualify… Dominique, Havlicek, and Rick Barry. Dominique was not the passer or shooter Lebron is, and Havlicek and Barry aren’t even close due to athleticism. Personally, I would be more entertained by Larry Bird, and I like him better as a player. Realistically though, Lebron is already the greatest Small Forward in NBA history, and he’s 28. Give Lebron a few seasons, and this won’t even be a conversation. Of course this is where noone cares, and that is unfortunate. I count myself as one who recognizes Lebrons greatness, and I don’t like watching him play. It is rare that the greatest player in a sport is not the most attractive to watch. Sometimes, he is just too dominant. It doesn’t seem that entertaining because if Lebron is on, he just takes over. He does not have the prettiest jumper, but he is statistically pretty good, and has gotten better every year. He is a little too demonstrative on the court. Basically, he is an awkward guy. You can’t blame a guy for being the most popular player in the NBA in the new social media error. Lebron could do a better job of limiting his exposure, and could certainly talk less, but MJ was known for his trash talking. He used the media too. He was just better at it. Who knows what MJ would be like in today’s social media era, where every word, every play is dissected in an instant. It is unfortunate that the NBA is not the beloved sport it was more than a decade ago, and the country has adopted football as the new favorite sport. Even hockey or MMA will often get more enthusiasm than pro ball, but that doesn’t change the fact that if you drop Lebron on the court in any era, against any lineup, he would be a top player on the floor. The greatest Forward period of all time? The greatest player of all time? That will take many more rings, and let’s face it: Jordan ruined it for everybody. Lebron might not be able to do anything to match Jordan’s greatness, his swagger, his Nike campaigns, he was just so cool. Maybe if he switches to baseball… football maybe? Lebron would be an all-star in any sport. That would be great to see.